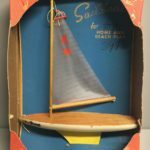 This is a Keystone Wood Toys sailboat #631 produced in 1956. It measures 9″ x 2.75″. As you can see it has the original display box which is very difficult to find. It is marked for a sale price of .69 cent but was eventually marked down to .29 cents. 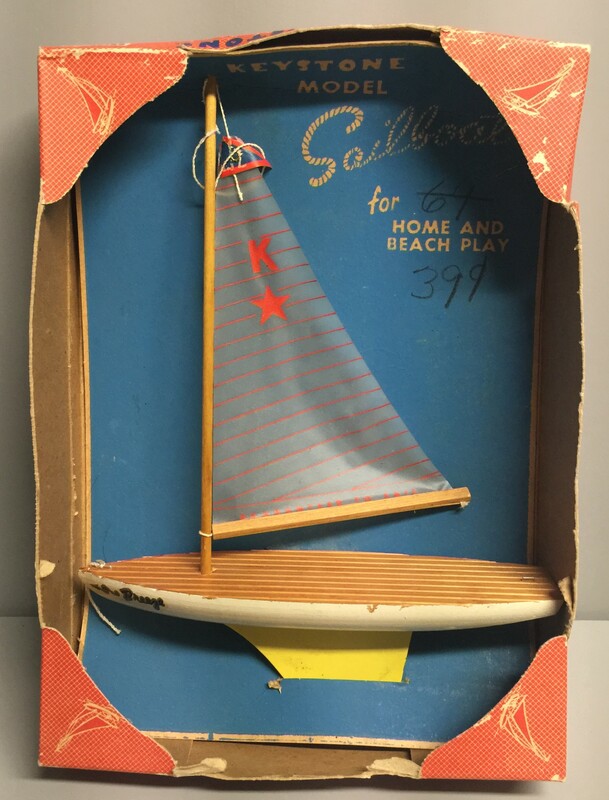 Weather it ever sold is unknown but with the box it is likely NOS.